Whenever I think of freshly baked homemade bread, I have this image in my mind: a beautiful, slightly misshapen crusty loaf cooling on a windowsill next to a clay pitcher of fresh milk covered with a thin cotton cloth; there’s an aroma of freshly cut grass in the air and a whiff of yeasty soft centre of the bread. This image is conjured from written pages and movies and never actually happened to me. Yet, I yearn to repeat that non-existent memory and capture again that confabulated experience. I want to say that I grew up eating homemade bread but that is untrue. My mom very rarely worked with yeast. On occasion she made Yeast Pancakes and those were my absolutely favourite treat. My grandma made hand pies but those were also a rare occurrence. When I started learning to cook and bake, I didn’t go for simple meals and recipes. I dove right into the most complicated concoctions. When learning to work with yeast, I started with Panettone and it was a complete failure. I tried kneading the dough by hand, I tried using my KitchenAid stand mixer and all to no avail. It took me more than a year and a dozen unrisen doughs to finally be able to bake a good loaf of bread. Now, I feel very comfortable making yeasted doughs, yet I used to bake bread quite rarely. It wasn’t really the effort it took to make since with a mixer doing most of the work, the effort is minimum. It was the time it took to make the bread: from all the kneading, to rising, to baking. 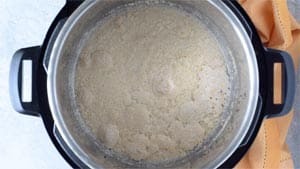 Recently I discovered a new method of making No Knead Dough in my Instant Pot and it changed my life! 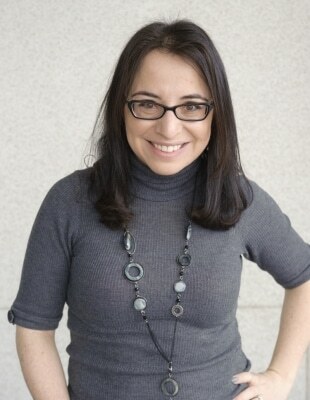 It is still not an instantaneous process but it is a lot faster and a lot easier. I now enjoy homemade bread much more often than before. 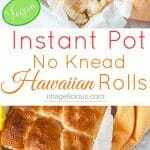 These Vegan Instant Pot No Knead Hawaiian Rolls are my recent addiction. They are slightly sweetened with pineapple juice, sturdy enough to use in sandwiches, and just perfect with a morning cup of coffee. There’s actually not a lot of explanation about Hawaiian Rolls. Pineapple juice is considered to be what makes the Hawaiian Rolls, well, Hawaiian. However, the packaging for original Hawaiian Rolls (King’s Hawaiian) does not list pineapple juice as one of the ingredients. Hawaiian Bread is also knows as Portuguese sweet bread and is usually made with lots of butter and eggs. However, if you search online for Hawaiian Rolls recipe, you’ll find that most have pineapple juice as part of their ingredients. I went a bit further and also added coconut milk to mine. What is the texture of Vegan Hawaiian Rolls? Traditional Hawaiian Rolls are really soft with the texture very similar to the most common sandwich bread. Fluffy, feathery, and light. My Vegan Instant Pot No Knead Hawaiian Rolls have a different texture. Since I turned these Instant Pot Hawaiian Rolls Vegan, they don’t have eggs and I also didn’t use as much coconut oil as I would have used butter. All these modifications mean that they are still light but not as fluffy. They are a bit more sturdy and are just a perfect vehicle for a perfect sandwich! Check out the video on how I use my Instant Pot to make Vegan Hawaiian Rolls and see the beautiful texture! 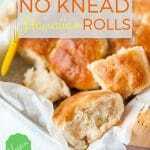 What are the ingredients in the Vegan Instant Pot No Knead Hawaiian Rolls? I use pineapple juice to sweeten the No Knead Dough along with a spoonful of coconut sugar. I also use coconut oil and coconut milk to make these Vegan Hawaiian Rolls as tropical as possible. Oh, I also use a tiny bit of coconut extract but it’s totally optional. Why use Electric Pressure Cooker to make Vegan Instant Pot No Knead Hawaiian Rolls? Well, technically, only the No Knead Dough is made in the Instant Pot (or another electric pressure cooker with a yogurt function). Instant Pot must have a yogurt function in order to actually be used in this recipe. Yogurt button provides an ideal warm temperature for the Vegan Hawaiian Rolls dough to rise. 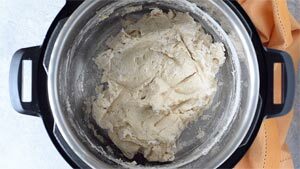 Using Instant Pot to make the No Knead Dough means that the dough rises beautifully in just one hour (plus under 10 minutes to actually mix it together). You don’t need to find a warm place for the dough to proof, no need to wait for 2-3 hours for the dough to double in size. 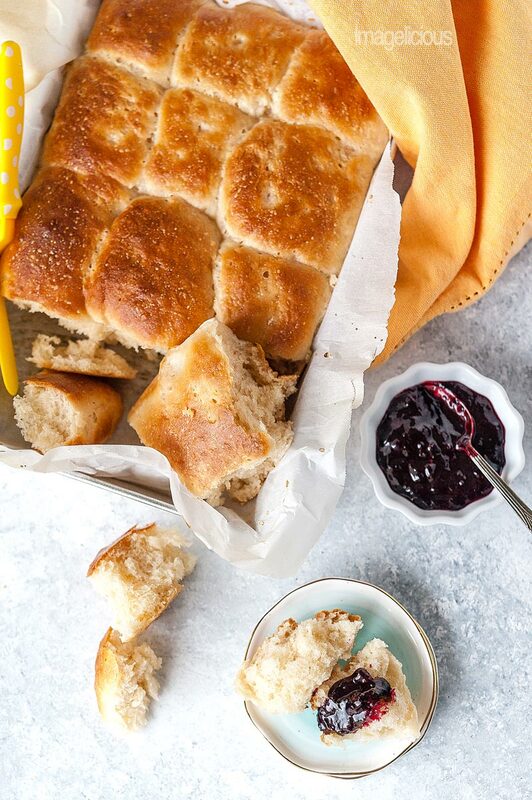 Just one hour in your Instant Pot using the Yogurt function and you have an amazing dough for your No Knead Vegan Hawaiian Rolls! Can you make these Vegan Hawaiian Rolls without Instant Pot? Yes, you can! Just follow the instruction on how to mix the dough. Once it’s mixed, place it into a large oiled bowl and cover it tightly with some plastic wrap. Fill a deep sink with hot water and place the bowl with the dough into it, making sure that the water reaches halfway the sides of the bowl. Let the dough rise in the bowl for about 2-3 hours or until it’s doubled in size. Refill the sink with more hot water once the original water has cooled. 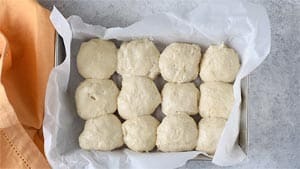 How much flour to use to make Vegan Instant Pot No Knead Hawaiian Rolls? I have tested this Instant Pot Hawaiian Rolls Recipe at least four times with different amounts of flour, so here’s the some useful info and tips. I scoop my flour with my measuring cups right out of the container. Then I lightly tap the cup on the side of the container to get rid off the overflow of the flour. This is how I always measure my flour! Over the course of developing of this recipe, I also weighed the flour that I scooped out. I tried it on different days while using different measuring cups and my flour very consistently weighs 165-170g for 1 cup. Please note, this is very different from what all other google resources say 1 cup of flour is supposed to weigh. 2+1/4 cup (380g): my favourite texture, yet it was very sticky and difficult to form the rolls. 2+1/4+1/8 cup (400g): slightly sticky but much easier to form the rolls (this is the amount used in the video). 2+1/2 cup (420g): the dough wasn’t sticky enough and pretty hard, it didn’t rise enough because of the amount of flour, the baked rolls still tasted delicious though. IMPORTANT NOTES ABOUT THE FLOUR: the amount of flour really depends on where you live. The humidity, for example, really affects the amount of flour needed. I always prefer to use less flour than more. You can always add more if it’s too sticky, but you cannot remove flour, if you’ve added too much. I made the No Knead Dough and it’s too sticky. What did I do wrong? Nothing wrong!!! When I developed my first recipe for Instant Pot No Knead Dinner Rolls I got many people complaining that the dough was too sticky. Well, here’s the thing: too sticky isn’t necessarily a bad thing. Most people don’t know much about bread baking and the science behind it and are mostly familiar with the texture of the dough that you get from a can. I am in no way saying it in a pejorative way. I admit, that texture of the dough, like the canned biscuits texture, is my favourite – it’s so smooth and pliable and soft and an absolute pleasure to work with. However, sticky dough doesn’t mean it’s bad. For example, ciabatta dough is so sticky and so wet that it’s almost liquid. And there’s nothing wrong with it. It is, in fact, supposed to be like that. How to form the Instant Pot Hawaiian Rolls if the dough is too sticky? If my dough is moderately sticky then I like to coat my hands with vegetable oil. It prevents the dough from sticking to my hands and it also adds a nice colour and crust to the rolls when they are baked. If the dough, however, is sticky enough that you can’t even shape a roll, then the trick is to use water! Yes, that’s right! Get a bowl of water and place it next to you on your working table. Dip both hands into water, make sure they are fully wet before shaping each roll. 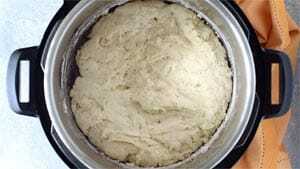 Don’t kill the yeast: you must make sure that the coconut/pineapple mixture is not too hot when you add the yeast. The liquid must be between 105F and 110F (40C to 43C) which is just above the body temperature. 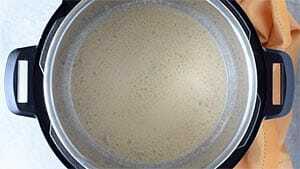 If the liquid mixture is too hot then you’ll kill the yeast and the dough will not rise. Make sure to turn the sauté mode off in your Instant Pot midway through the melting of the coconut oil. The heating element will still have enough residual heat to melt all the oil and heat up the pineapple juice and coconut milk. Another option is to remove the Instant Pot insert and run the bottom part under some cold water to cool it. Just remember that the liquid still needs to be pretty warm so don’t cool it too much. TIP: If you killed the yeast and the dough did not rise, don’t through it out. You won’t be able to make Hawaiian Rolls, but you will be able to use the dough to make flatbreads. Just roll it into thin circles and top with your favourite toppings. Bake for about 15 minutes at F425. Try kneading the dough: If you are worried about how much flour to use, then you Knead to Knead the dough. Funny? No? Moving on! I very often have trouble with flour amounts in recipes, so I developed my own trick: I never add the full amount of flour the recipe calls for. I always add half or maybe two thirds of the flour and then add the rest little by little while my mixer is kneading the dough. Often I don’t have to add the full amount and sometimes I have to add more flour than the recipe specifies. You are looking for the dough to gather around the kneading hook of your mixer and not stick to the sides of the bowl anymore. It should still be a bit sticky to the touch. Once the dough is kneaded, transfer it to a lightly oiled insert of your Instant Pot and follow the instructions on how to let it rise using a Yogurt function. Also, take a note of how much flour you actually used and then next time you decide to make these Vegan Instant Pot No Knead Hawaiian Rolls, just use that amount and there’s no Knead to Knead. Still not funny? Umm… ah-ok. 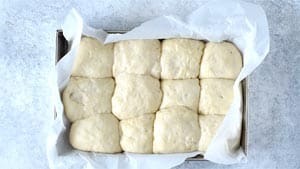 In the video I purposefully baked these Instant Pot Rolls in a small 7×11 inch baking pan. I wanted the rolls to stick together so that I could use them to make sliders. Feel free to use a bigger pan if you want individual buns. These Instant Pot Hawaiian Rolls are great to use for my 15-minute Jalapeño Chicken Sliders. 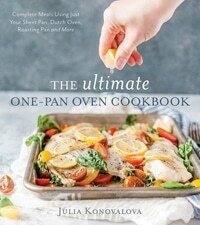 And if you’d like another delicious recipe for sliders then PRE-ORDER my upcoming cookbook, The Ultimate One-Pan Oven Cookbook, it has a totally delicious and easy sliders recipe with a Thanksgiving twist. Turn the sauté function on your Instant Pot on. Add the coconut oil and just as the oil is halfway melted, turn the sauté function off. Add the pineapple juice, coconut milk, coconut extract if using, coconut sugar, and mix. Let the mixture cool to 105-110F (40-43C). It might take 5-10 minutes. Alternatively, run the metal Instant Pot insert under some cold water. Important: if liquid is too hot when the yeast is added, it'll kill the yeast. If the liquid is too cool then the yeast won't work either. Add the yeast and wait for about 5 minutes until it foams. Add the flour and salt, mix with a wooden spoon or a sturdy spatula until all the flour is mixed into the liquid. Close the lid on your Instant Pot, press the Yogurt function and change the timing for 1 hour. After 1 hour, open the lid. The dough should be soft and doubled in size. Divide the dough into 12 equal portions. If it's too sticky, wet your hands with water, it'll prevent the dough from sticking to your hands. Form each portion into a roll. I like doing it by slightly flattening the portion and then tucking the edges underneath it. Sort of like wrapping the dough over something like a balloon. Place each roll onto a baking sheet covered with parchment paper. Minimum 7x11 inches if you'd like the rolls to stick together or a bigger pan if you'd like individual Hawaiian Rolls. Cover the pan with the rolls with a clean kitchen towel and let rise in warm place until the rolls are puffy and have risen even more. About 30 minutes. While the rolls are rising, preheat the oven to F425. Once the Vegan Hawaiian Rolls have risen, brush them with some coconut milk on top. Bake in the fully preheated oven for about 25 minutes or until they are beautifully golden and baked through. 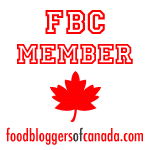 Please read my comments about the amount of flour to use above the recipe card. You might need to use a bit more flour if you don't like the dough to be sticky. The amount of flour listed will make a very sticky dough! Feel free to add 1-2 extra tablespoons of coconut sugar for sweeter Vegan Hawaiian Rolls. If you don't have coconut sugar, you can use regular white or brown sugar. I just tried making this. Relatively easy to make but time-consuming as you have to wait for the dough to rise twice. Crusty exterior and super soft inside. I might put a bit more sugar in it the next time I make it though. But will was really good with some home made jam. Will make this again but only on weekends when I’ve got more time. Thanks for sharing the recipe and your tips!! Great recipe, I’ll try it tonight! I love the Hawaiian rolls and can’t wait to try them out. I was wondering if these can be made less sweet like the savory version. My kids love these rolls for Pav Bhaji! They are interesting for sure but the whole batch was ruined because they stuck to the parchment paper. It’s not the first time that’s happened but next time I go to the trouble I’ll try a slipat or oil. Oh well, we’re going to have biscuits on Christmas morning instead. Your recipe intrigued me & I will definitely try making it in my IP. But for the record here, Hawaiian sweet rolls never have pineapple in the recipe. These were historically sweet rolls that the Portuguese immigrants brought to Hawaii ages ago. Like all the other ethnicities that have settled here in the islands the recipes and food have been adopted into our mix plate culture. Just so you know putting pineapple or pineapple juice in a recipe (despite what Dole would have you believe) does not make it Hawaiian. Thanks for an interesting adaptation for the IP! Yes, I do know that these are not “real Hawaiian rolls” and the texture is also different. I just used tropical flavours and that’s why I called them Hawaiian. Can I substitute coconut sugar? I can’t seem to find in the stores. Talk about baking, baking bread is my favorite, more than baking chocolate cake, there I said it. These hawaiian rolls looks so darn delicious. 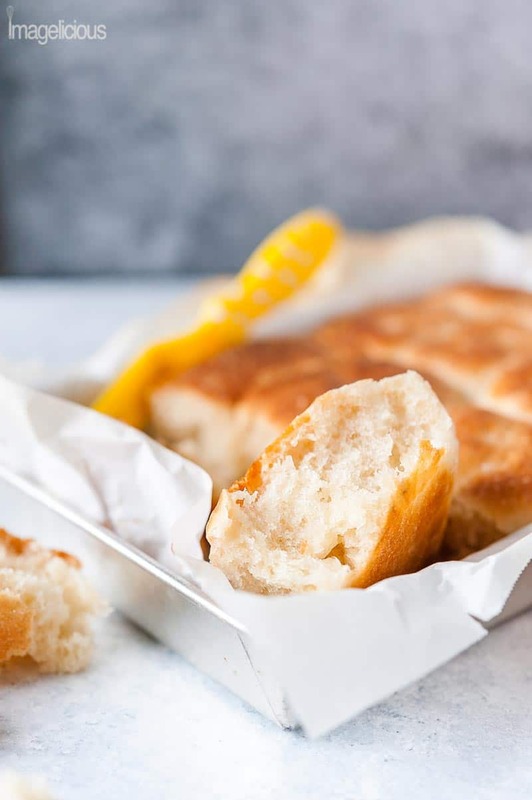 It can be hard sometimes to get that perfectly risen, soft pillowy bread rolls, thank you for sharing all the tips and tricks to get perfect rolls everyday. Oh my goodness I am in LOVE with this recipe. My kids love Hawaiian rolls (the store bought version), but I am not exactly thrilled with the ingredients so I never buy them. Loving the clean ingredients in this version, and loving the quick rising time in the instant pot as well. I make about 4 loaves of homemade bread every week and would NEVER have thought to let them rise in the instant pot – genius!! Can’t wait to try these out. I’ve never had a Hawaiian roll! These look absolutely scrumptious. My kids would go crazy for these and they would love to help make them. I love that you used coconut milk and made them vegan – so great for a crowd with many food preferences. We love Hawaiian rolls! In the summer, we do a chicken slider with them that everyone always loves. The texture on your Instant Pot version looks so light and fluffy, and I love that you’ve used coconut sugar in them too. One of my favorite things to bake with. Will look forward to giving these a try. I LOVE how detailed all of this was! Thanks for testing the different weight/amount of flour! Your rolls look so deliciously fluffy. I still haven’t used my Instant Pot to make bread yet but I think I should get on it ASAP – 1 hour proofing is more my type than waiting 2-3 hours. I love Hawaiian rolls and would have never, ever thought it possible to make them in an Instant Pot! (Or any rolls, for that matter.) I really need to play around with mine more. I feel like I haven’t really gotten to know it yet. And funny, I had no idea that pineapple juice was suspected to be the reason they were called Hawaiian rolls. I just sort of rolled with it, lol. We absolutely love our bread and we make a lot of it. In fact, we purchase our flour in 50#bags and no we don’t sell it. 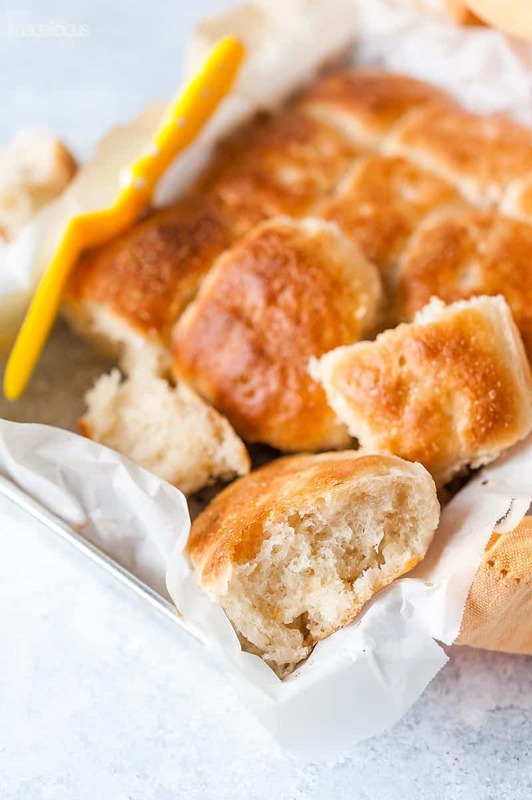 Now, your insta-pot rolls look really light and fluffy — yummy with some melted butter on them. We don’t have an insta-pot and I have to admit it certainly is handy. My gosh, with all it can do, you think that it will replace us someday??? Great recipe. Every time I talk myself out of needing an Instant Pot, I see another great recipe that I could make if I had one! 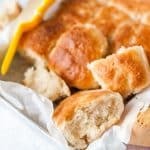 These look so yummy and such a cool way to bake rolls! First off, Hawaiian rolls are the best thing ever. Second, I am so excited to see this done in the instant pot! I cannot WAIT to try these out, they sound so delicious, what great idea! I am a bread lover, and these rolls sound so delicious. Pineapple juice and coconut milk….YUM. Reminds me of our honeymoon in Hawaii. Baking bread at home is so rewarding….and I know I would have a hard time not eating this ALL by myself. I can just imagine the aroma as these bake. Julia, I’ve struggled with bread baking for years, so I really appreciate your tips and tricks on getting it right. I think I’ve always added too much flour — now I know, liquidy isn’t a bad thing! These hawaiian rolls wouldn’t last a day in my house, they look so tender and flaky. My Mom makes guava jam for us and I just know these rolls would be the perfect vehicle for getting the jam to my mouth! Can this recipe be made using gluten free flour? I would love to make the rolls, but I need a gf option.